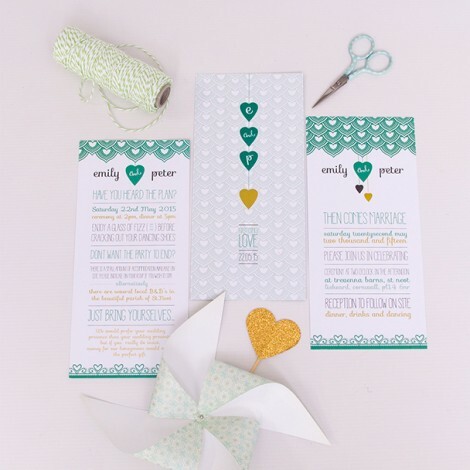 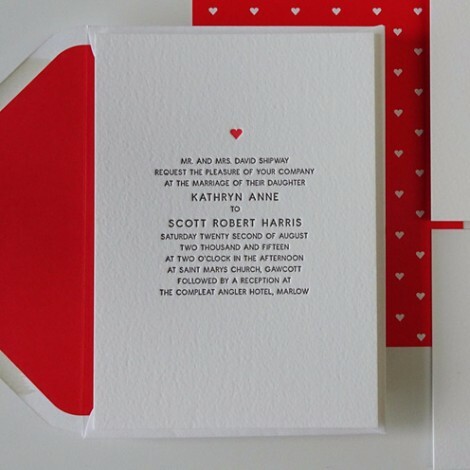 The flat (or single card) wedding invitation seems to have grown in popularity in recent years. 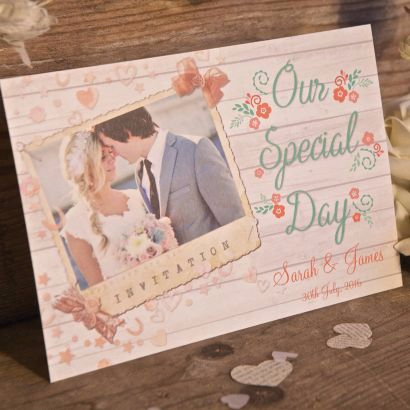 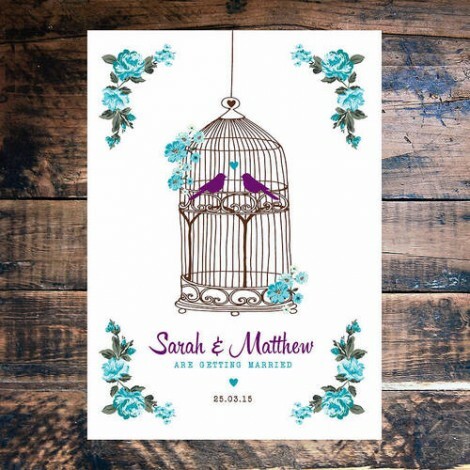 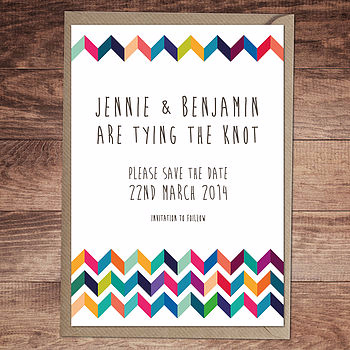 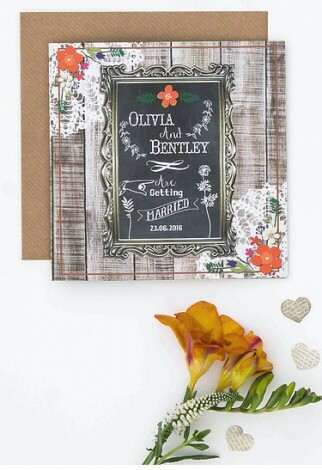 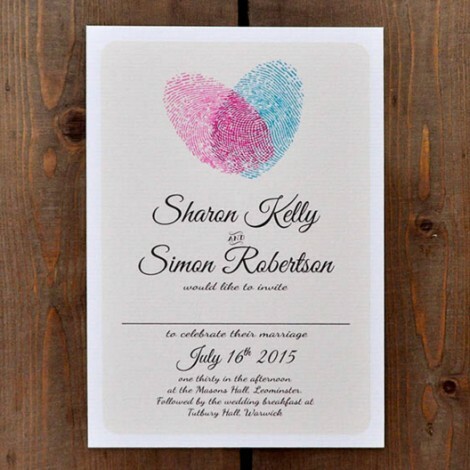 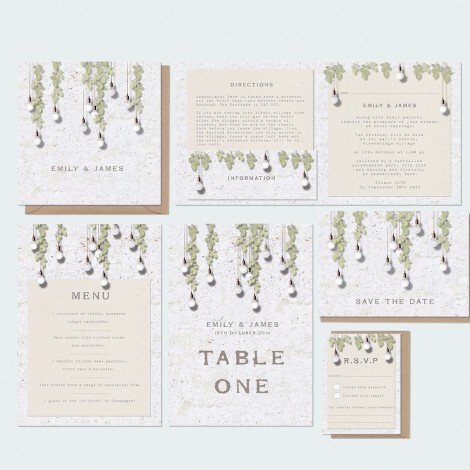 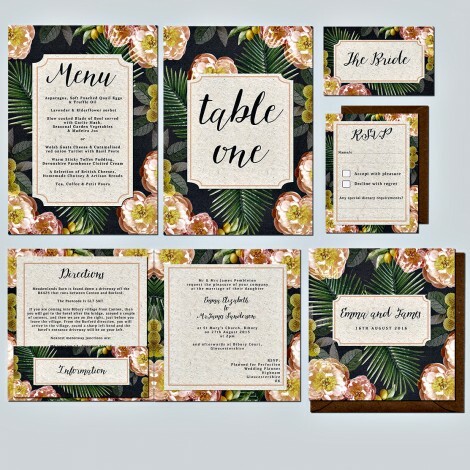 The relatively inexpensive digital printing process has enabled short run wedding invitations to be produced quickly and efficiently in full colour. 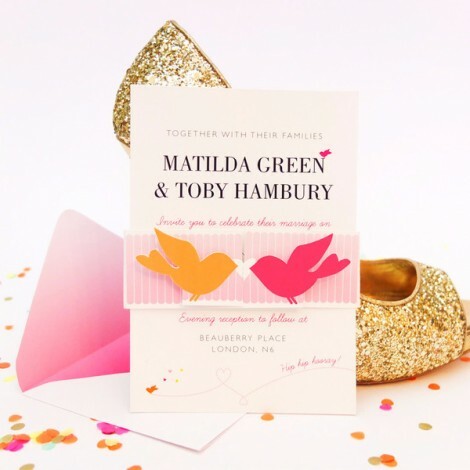 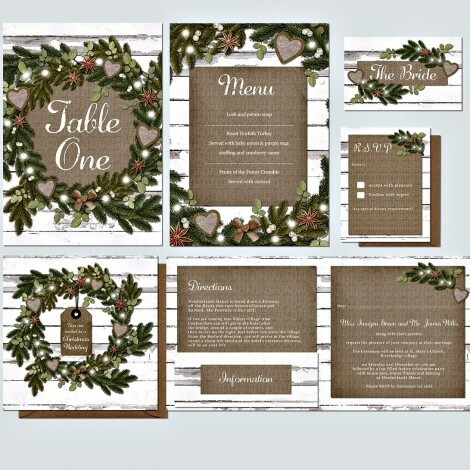 A flat card enables a wedding supplier to produce a card without the need to feed it through a creasing machine or glue / tape a personalised insert inside. 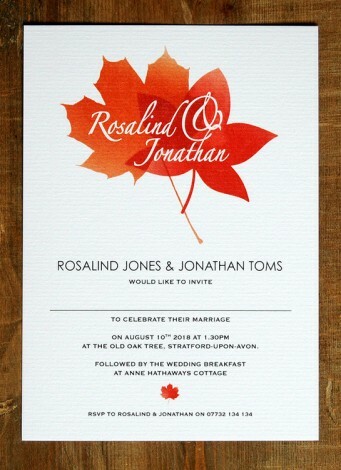 This means they can offer a cheap wedding invitation for the budget conscious bride. 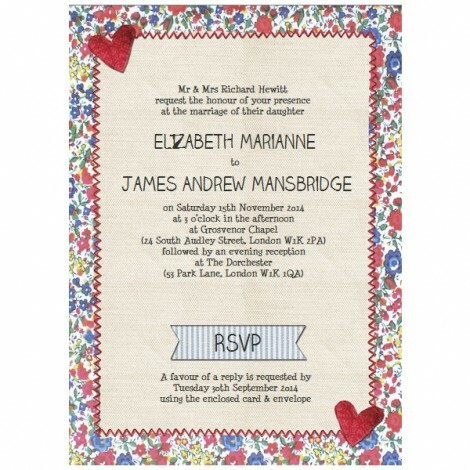 Now, that it is not to say all flat card wedding invitations are cheap and cheerful. 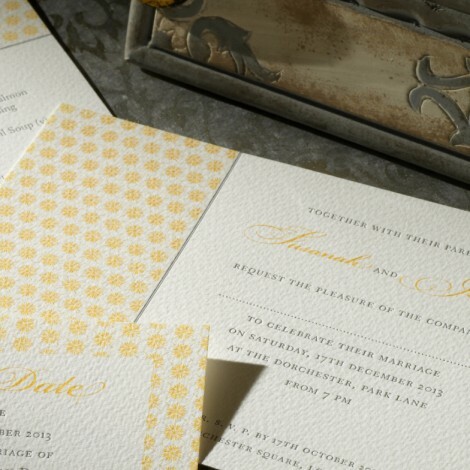 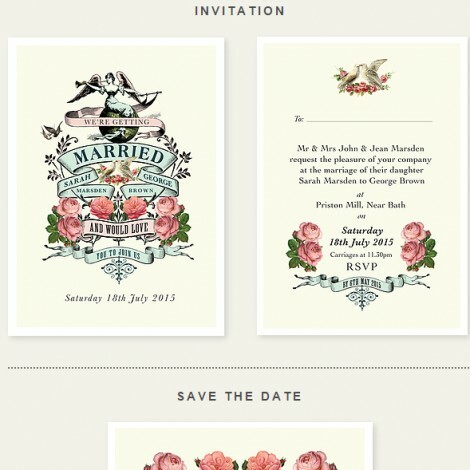 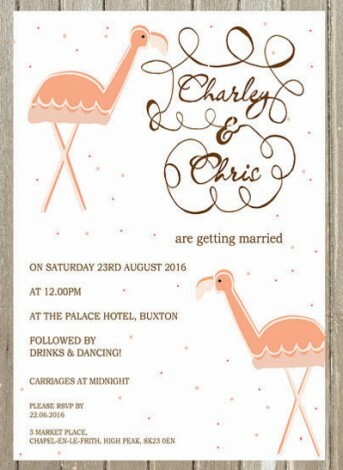 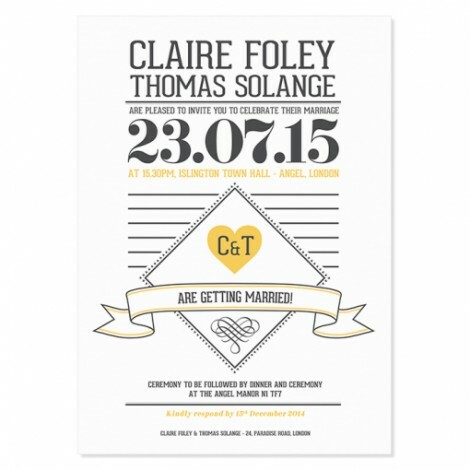 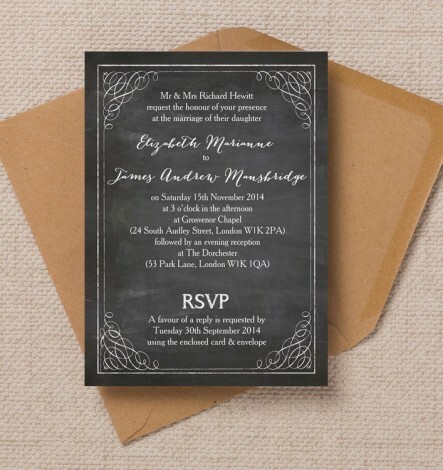 There are other practical reasons why the most luxurious of wedding invitations is printed flat style. 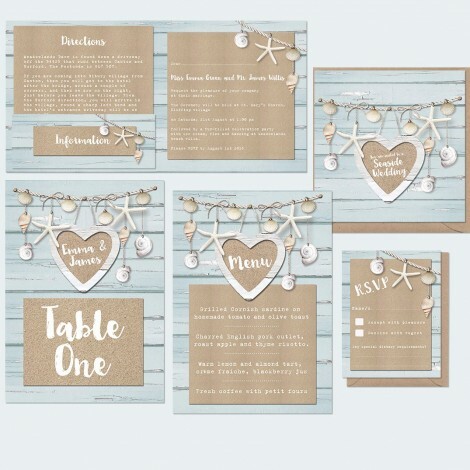 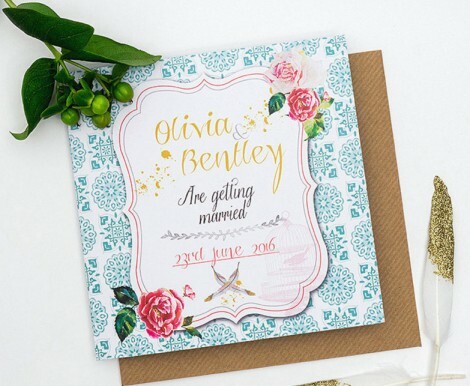 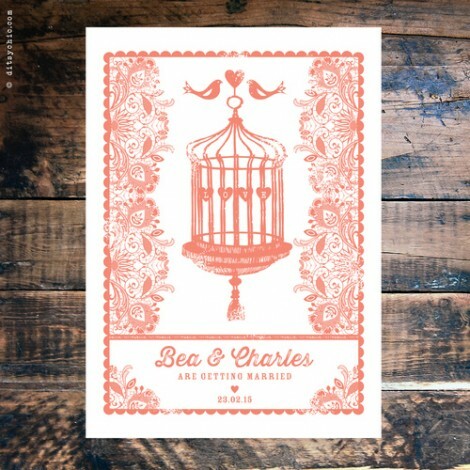 Many letterpress, foil or raised print wedding invitations are printed on single card because they are usually produced from thick board which does not lend itself to creasing well. 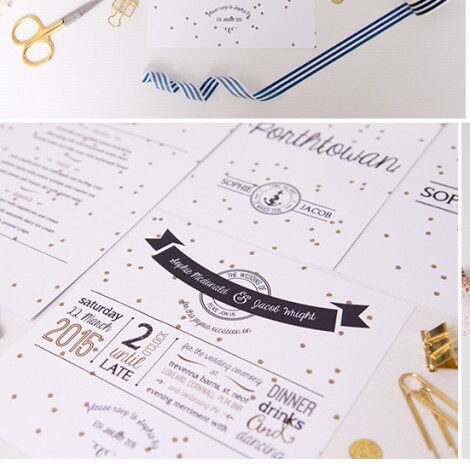 Crisp typography and the printing technique itself is often the design focus of these cards so the actual invitation wording itself is the main design element; no need therefore to open up the card for invitation text inside. 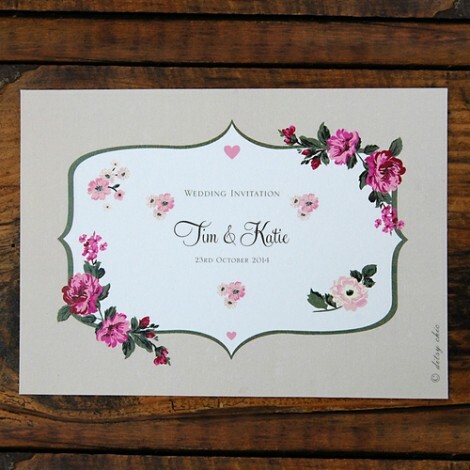 The single card can be printed both sides of course and you will find that many stationers reproduce a design feature of the front as a pattern on the back. 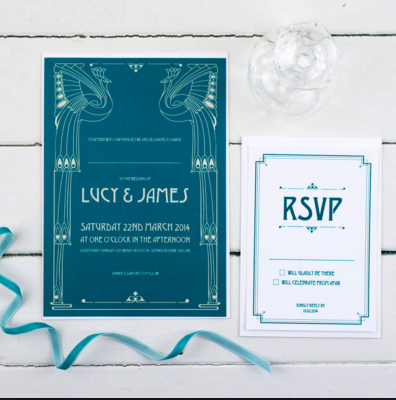 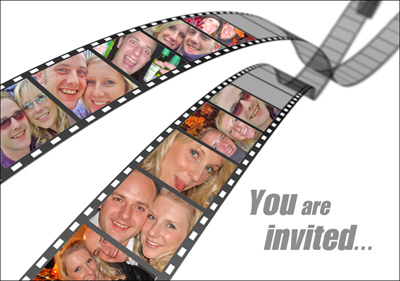 We always recommend requesting a sample of single card invitations. 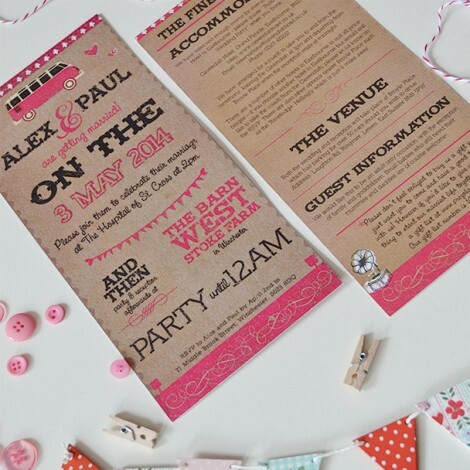 If the invite is made from a flimsy board then it far more likely to notice on a single card than a folded one. 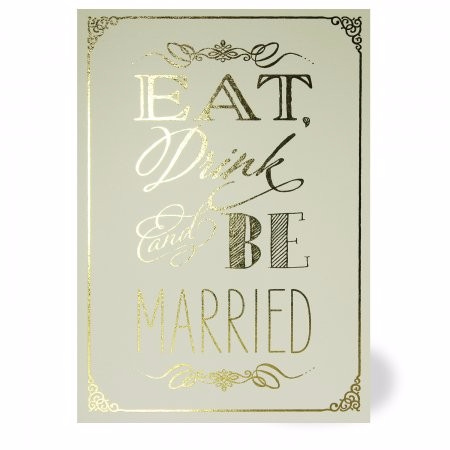 For a typical 5″ x 7″ card we don’t like to see any less than around 300gsm in board thickness. 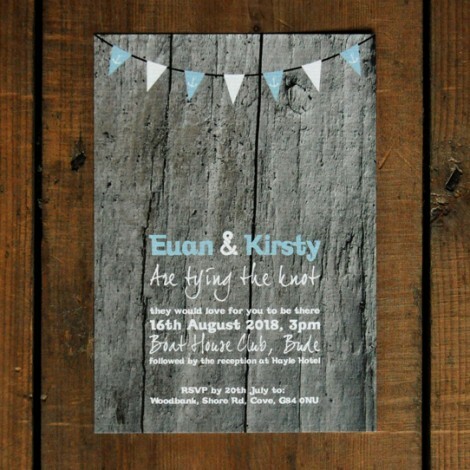 That said, even some 300gsm board can feel more rigid than others depending on the structure of fibres in the board. 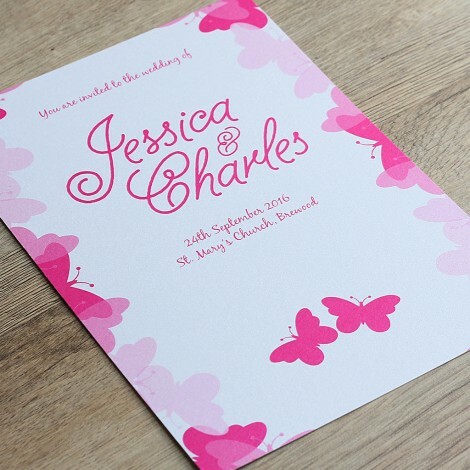 Nothing replaces a sample to actual feel and compare designs.